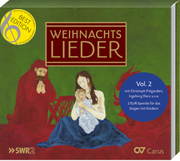 Throughout the world Christmas is celebrated – and everywhere, singing Christmas carols is part of the celebrations. 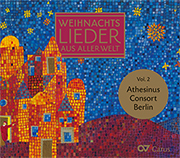 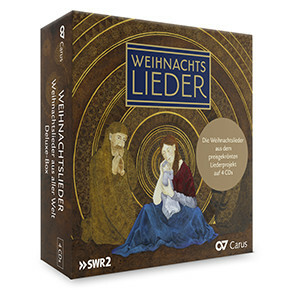 This limited special edition offers over 100 of the most beautiful German and international carols: For the first time, the “Weihnachtslieder” (German Christmas Carols) as well as the “Weihnachtslieder aus aller Welt” (Christmas Carols of the World) of the prize-winning LIEDERPROJEKT are being issued together in a box set of 4 CDs. 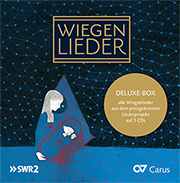 The LIEDERPROJEKT is a charity project produced by Carus and Southwest German Radio. 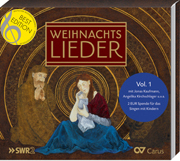 For every box set sold, 2 EUR will be donated to projects which promote singing with children. 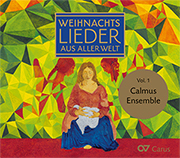 Cette édition spéciale limitée propose cent des plus beaux chants de Noël allemands et internationaux ... Une belle brochette d'artistes participent au projet. 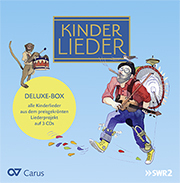 Traditionelles mit modernen Akzenten für stimmungsvolle Momente im Dezember.